In June 2017, Apple released the details of its new communication platform, Business Chat, that be launching this spring in its iOS 11.3 update. 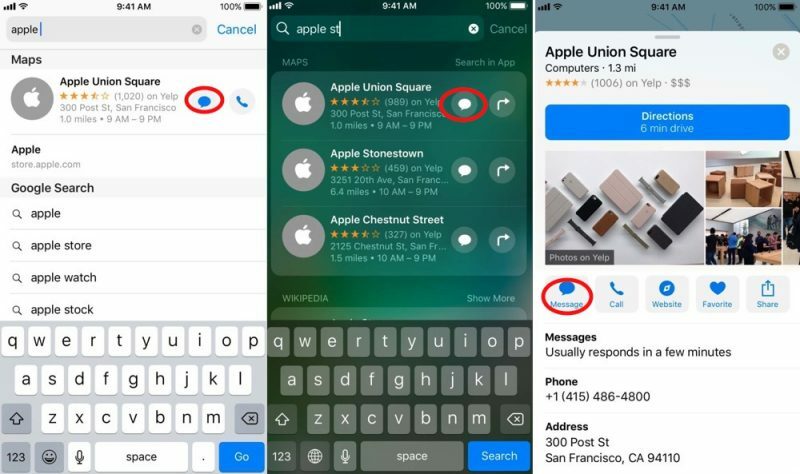 With Business Chat, any iOS 11.3 user will be able to start a thread with businesses they find through Siri, Maps, Safari, and Spotlight search. 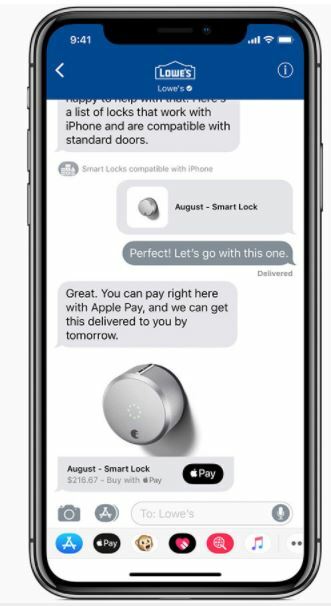 Aside from asking questions about services or products from that business, users will be able to make purchases directly within the chat with a merchant using Apple Pay or Apple Pay Cash. Now, it’ll be much easier for someone to book a doctor’s appointment or buy a plane ticket – all in iMessage! Convenient, huh? The best thing about using Business Chat for making purchases is that Apple Pay Cash does not have a middle party that will be paid, therefore there are no extra fees for sending money through the chat. iOS 11 brings a new way for operating the mobile system, which makes better and more capable iPhones and iPads ever. The even more advanced mobile operating system enables the higher degree of augmented reality in the games and apps display where fantastic and fluid user experience can go far beyond the screen, which further enhances a more powerful and intelligent device ever. iOS 11 brings more powerful capabilities to iPhones and iPads, which ensures the operation and gestures are much faster, more efficient and easier as well. For example, you can download and use a file wherever you upload and save it, whether in iCloud Drive, Box or Dropbox because the new iOS 11 makes the new files app more collaborative and easily browsed, searched and organized as well. The touch system, together with the new technologies like Apple Pencil and Smart Keyboard for iPad Pro, ensures all the operation are easily made by just a swipe, click or flick. The new iOS system also improved many other functions like multitasking, instant markup, instant notes, inline drawing, scan, and sign.